My name is Deborah, and I'm just beginning to explore buying a very small trailer for just me. I live in Southern California, and while I like what I see on the Casita and Scamp websites, there is no way that I would want to drive one home that far, since I will be on my own. My husband and I have owned a 1995 31 ft Seabreeze, and he recently passed away. We loved camping at nearby beaches, and I want to continue that with something I can maintain on my own. So my first questions are, if I decide I want to buy something new, are there good brands located close to me? And if I want to buy used, what are the best brands, and are there any I should avoid? I'm looking for something I can tow with a mid-sized SUV rated for 5000 lbs, not purchased yet, something like a Kia Sorento or Hyundai Sante Fe XL. Ideally it would no longer than 18 feet total length to end of hitch (so as to fit in beachside spot at favorite place) so maybe a 15 ft trailer. Must haves are toilet, stove, and A/C (it gets hot here). Strongly prefer a little shower, and maybe microwave for when I have hookups. I'm excited to find this group, because I like the idea of all fiberglass, as opposed to the EPDM rubber roof we had on the RV. Seems like all fiberglass will be much easier to maintain; is that correct? Escape Trailers, based in British Columbia, would be a good bet. Their smallest model is a 17'er (molded fiberglass sizes are always measured tongue to bumper, so the Escape 17 has about a 14' cabin). They have a great reputation and the exchange rate makes them a fairly good deal at the moment for US buyers. There's also Los Angeles-based Happier Camper, but they currently only offer a 13' model that is not self-contained. There are rumors of a larger model coming soon, but no announcement yet. Don't overlook used. Keep your eye out for a late model used Scamp, Casita, or Escape within a reasonable search radius. It probably will sell for pretty close to new, but you won't have to go so far to get it. Be prepared for sticker shock with molded fiberglass trailers- a small one can cost as much as a large conventional trailer. In the long run, though, they're a better deal due to strong resale value. The first owner of my Scamp paid $8500 in 2008 and I could sell it tomorrow for $6000, perhaps more. That's $250/year in depreciation, maybe less. A vehicle with a V6 and a tow rating of 5000# would allow you to tow pretty much anything in the size range you're looking for with ample margin. An Escape 17 weighs around 3000-3200# loaded. And yes, I like molded fiberglass for the lack of roof seams and associated maintenance. Keep a coat of wax on, reseal windows and vents every decade or so, and go camping! Speaking of which, one of our favorite places is South Carlsbad State Beach. And, you could have the Escape delivered, if you don't want to visit B.C. Base price is currently 27,550 CAD, which is 20,700 US. Little Guy has a very basic trailer called the Meerkat. They are local to San Diego. 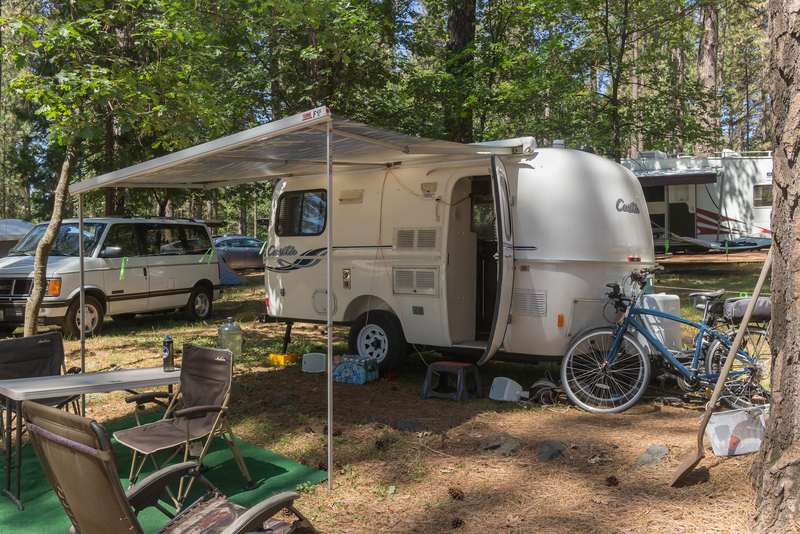 Happier Camper is based out of LA and they make a customizable small camper that owners love. SoCal and Arizona are both popular places for used trailers to show up if you decide not to buy new. Seems like you should look at Happier Camper first. In LA, so it will be easy to look. Then you can begin to decide on the layout and options that best suit you. Just for fun, check out Cricket trailers too. There is a dealer in Newhall, CA check their website or a Youtube video about them. Very functional, small, easy to tow, and all aluminum. Meanwhile keep your eye open for a used Scamp or Casita, and be ready to pounce if it suits you. Since you said "very small", I think you mean around 13'. She said up to about 18’ with toilet and preferably a shower. In the title I think she meant a 13-15’ cabin. In terms of molded trailers, that puts her in the 16-18’ class. Better off going to a rally and touring all the options, and then getting the rig of your choice shipped to you, than focusing on locally made rigs. In the end, there are just a handful of manufacturers out there, scattered across the lower 48 and Canada. Building in CA is a very expensive option. My two campers were both built in Canada, not exactly conveniently located to North Carolina. The ones kind of in my area were LS and Parkliner, dodged a bullet there. Oliver is the next state over, a fine choice, but out of my price range. There is tremendous variation in floor plans, I would not consider the brands to be interchangeable at all. Each is unique in its own way. Picture yourself using the kitchen, the bathroom, sitting down to read, sleeping, bad weather or whenever. If you live close enough you could stop by and see what the 17' Casita Spirit Deluxe has to offer in terms of features. We are not selling our trailer, but would be happy to let you see it. We live in Santa Barbara, Ca.. Private message us if you would like to set a time to come by and see it. the Casita 16 Deluxe models are, IMHO, perfect for solo, as long as you're not much over 5'10. I'm 6' and ours worked great for me but I don't mind stooping a bit. a Casita 16 SD has a dry weight of about 2100 lbs, and a max loaded weight of 3500 lbs, and about 350 lbs max tongue weight (they tend to be on the light side of the tongue weights). you should easily be able to tow one with a variety of crossover SUVs in the class you mention. as several pointed out, a 16' fiberglass trailer has about a 12-13 foot 'box', and most conventional trailers spec the box size, not the overall hitch to bumper length the way the fiberglass people do. Our 21 foot Escape is equiv to a 17 or 18 foot anything else. and setup at the Nevada County Fairgrounds in Grass Valley at the Strawberry Music Festival a few years ago..
which naturally made me wonder where all the great comments on these forums were coming from. Fixing my spreadsheet as we speak. Whew! Dodged a bullet. You got it. It’s the last one you linked, the all-molded fiberglass one. 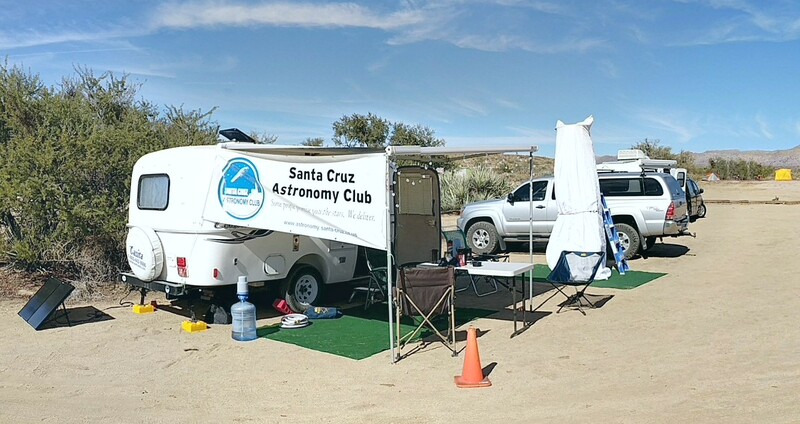 I'm in San Diego, and have a 13' Casita Patriot that I have not used yet. If you are near and would like to see it, I'd be happy to show it to you. I also ordered a Sumbrella cover from the company Casita recommended. Thanks Sonny I think that one might be too small, even for just me.